Create your CashFlow with this Titusville Duplex. Come quick and check out this full duplex that needs a full rehab. This property offers 2 units that are identical with 2 bedrooms 1 bath and 814 sqft on each side. Each has their own 1 car stall car port and laundry/storage closet in the car port area. Rehab this duplex from top to bottom, create your equity and then rent out for $900/mo each to achieve over a 13% ROI after taxes of $1,277/year and insurance. Don’t miss this opportunity, this property is cheaper than single family homes in the area. Call Me Now To Purchase. Excellent flip or rental opportunity located in Pasadena Heights subdivision of Gulfport! This single-family home sits within walking distance of a school. Features also include a wooden deck patio, nice wood flooring throughout, laundry room and a large fenced-in backyard area, perfect for entertainment. With minor rehab, this will make an excellent investment opportunity! For a rental or flip, some areas of the eaves and wood siding need to be repaired. Drywall work is needed behind laundry. Termite treatment is also needed. For a flip, the kitchen, bathrooms, appliances, and some floors need to be updated. New water heater and AC units may be needed. The roof may need to be re-shingled. To finish it off, interior and exterior paint must be applied, along with some landscaping. Buyer agrees to assume property with current tenant/s. Tenant estoppel will be provided at or prior to closing. 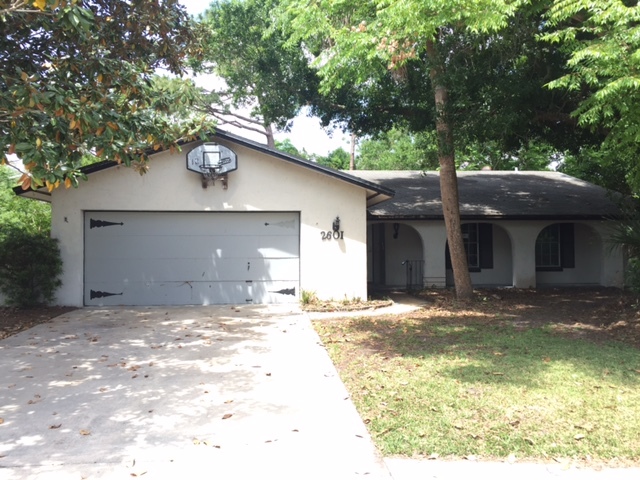 Charming single family home located in an excellent area of Crystal River. This property sits on a sizable .24-acre lot with an attached carport and large backyard. This home has been recently updated and features include nice tile flooring in the main living area, nice sized bedrooms, and an updated kitchen. Don’t miss out on this perfect investment opportunity! This property has been recently updated, but some repairs are needed. For the exterior, the rear side of the overhang roof, a window, and the carport door need to be repaired. The electrical, plumbing and bathroom condition are unknown, but they are all presumed to be in good/fair condition. All other living areas are in good condition. For a flip, cosmetic updates to the kitchen, bathroom, and AC are recommended, along with interior paint and landscaping.